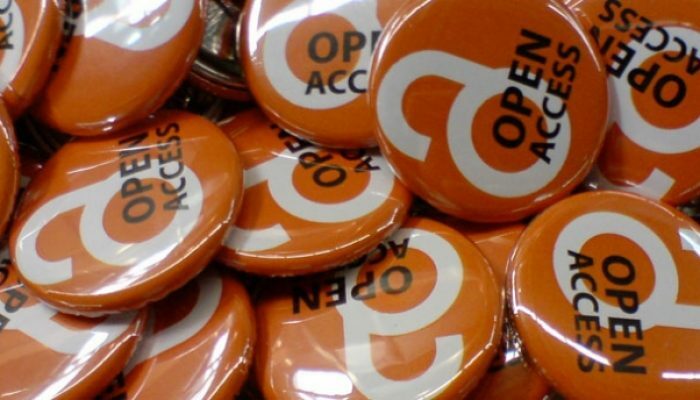 Open access publishing has become common practice in the science community. 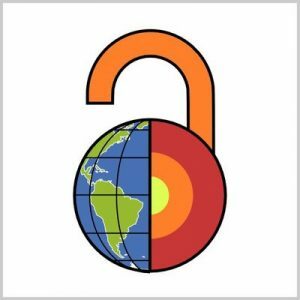 In this guest post, David Fernández-Blanco, a contributor to the EGU Tectonics and Structural Geology Division blog, presents one facet of open access that is changing the publishing system for many geoscientists: preprints. The idea of open access publishing and freely sharing research outputs is becoming widely embraced by the scientific community. The limitations of traditional publishing practices and the misuse of this system are some of the key drivers behind the rise of open access initiatives. Additionally, the open access movement has been pushed even further by current online capacities to widely share research as it is produced. Efforts to make open access the norm in publishing have been active for quite some time now. For example, almost two decades ago, the European Geosciences Union (EGU) launched its first open access journals, which hold research papers open for interactive online discussion. The EGU also allows manuscripts to be reviewed online by anyone in the community, before finally published in their peer-reviewed journals. This trend is also now starting to be reflected at an institutional level. For example, all publicly funded scientific papers in Europe could be free to access by 2020, thanks to a reform promoted in 2016 by Carlos Moedas, the European Union’s Commissioner for Research, Science and Innovation. More recently, in late 2017, around 200 German universities and research organisations cancelled the renewal of their Elsevier subscriptions due to unmet demands for lower prices and an open access policies. Similarly, French institutions refused a new deal with Springer in early 2018. Now, Swedish researchers have followed suit, deciding to cancel their agreement with Elsevier. All these international initiatives are confronting an accustomed publishing system. Within this context, it’s no surprise that the scientific community has come up with various exciting initiatives that promote open access, such as creating servers to share preprints. Preprints are scientific contributions ready to be shared with other scientists, but that are not yet (or are in the process of being) peer-reviewed. A preprint server is an online platform hosting preprints and making them freely available online. Many journals that were slow to accept these servers are updating their policies to adapt to the steadily growing increase of preprint usage by a wide-range of scientific communities. Now most journals welcome manuscripts hosted by a preprint server. Even job postings and funding agencies are changing their policies. For example, the European Research Council (ERC) Starting and Consolidator Grants are now taking applicant preprints into consideration. ArXiv is the oldest and most established preprint server. It was created in 1991, initially directed towards physics research. The server receives on average 10,000 submissions per month and now hosts over one million manuscripts. Arxiv sets a precedent for preprints, and now servers covering other scientific fields have emerged, such as bioRxiv and ChemRxiv. EarthArXiv was the first to fill the preprint gap for the Earth sciences. It was launched in October 2017 by Tom Narock, an assistant professor at Notre Dame of Maryland University in Baltimore (US), and Christopher Jackson, a professor at Imperial College London (UK). In the first 24 hours after its online launch, this preprint server already had nine submissions from geoscientists. The server holds now more than 400 preprints, approved for publication after moderation, and gets around 1,600 downloads monthly. 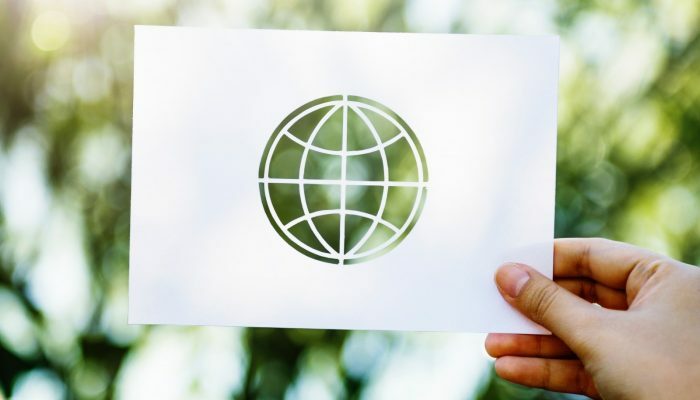 The platform’s policy may well contribute to its success – EarthArXiv is an independent preprint server strongly supported by the Earth sciences community, now run by 125 volunteers. The logo, for example, was a crowdsourcing effort. Through social media, EarthArXiv asked the online community to send their designs; then a poll was held to decide which one of the submitted logos would be selected. Additionally, the server’s Diversity Statement and Moderation Policy were both developed communally. In February 2018, some months after EarthArXiv went live, another platform serving the Earth sciences was born: the American Geophysical Union’s Earth and Space Science Open Archive, ESSOAr. 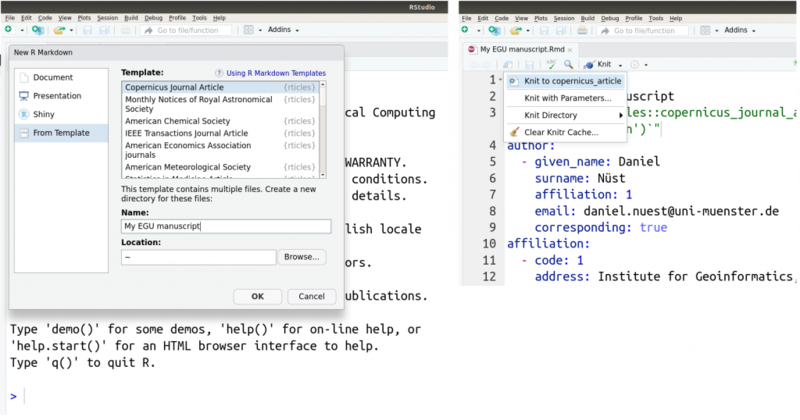 The approach between both platforms is markedly different; ESSOAr is partially supported by Wiley, a publishing company, while EarthArXiv is independent of any publishers. 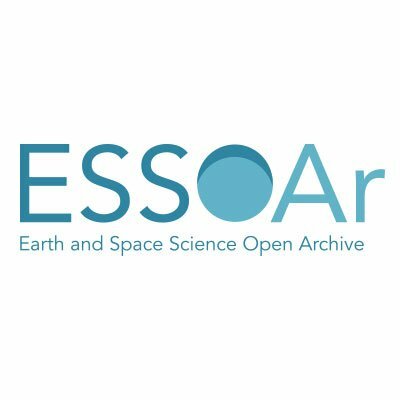 The ESSOAr server is gaining momentum by hosting conference posters, while EarthArXiv plans to focus on preprint manuscripts, at least for the near future. The ESSOAr server hosts currently 120 posters and nine preprints. What is the power of preprints? How can researchers benefit from these new online sources? Preprint servers allow rapid dissemination. Through preprints, new scientific findings are shared directly with other scientists. The manuscript is immediately available after being uploaded, meaning it is searchable right away. There is no delay for peer-review, editorial decisions, or lengthy journal production. A DOI is assigned to the work, so it is citable as soon as it is uploaded. This is especially helpful to early career scientists seeking for employment and funding opportunities, as they can show and prove their scholarly track record at any point. Making research visible to the community can lead to helpful feedback and constructive, transparent discussions. Some servers and participating authors have promoted their preprints through social media, in many cases initiating productive conversations with fellow scientists. Hence, preprints promote not only healthy exchanges, but they may also lead to improvements to the initial manuscript. Also, through these exchanges, which occur outside of the journal-led peer-review route, it is possible to network and build collaborative links with fellow scientists. Too many questions, looking forward to participating in HESS discussion! 🙂 The main question is: where are remaining 430 basins? is there any conspiracy? Preprints allow everyone to have access to science, making knowledge available across boundaries. The servers are open without cost to everyone forever. This also means tax payers have free access to the science they pay for. Preprint servers are a useful way to self-archive documents. Many preprint servers also host postprints, which are already published articles (after the embargo period applicable to some journals). Given the difference between the publishing industry’s current model and preprint practices, it is not surprising to find an increasing number of scientists stirring the preprint movement. It is possible that many of such researchers are driven by a motivation to contribute to a transparent process and promote open science within their community and to the public. This motivation is indeed the true power of preprints. What impact does migrating for science have on the lives of researchers? Credit: Nubia Navarro (nubikini) (distributed via Pexels). Scientific research is no doubt enriched by interdisciplinarity and collaborations which cross borders. This, combined with the scarcity of academic positions and the need to further ones horizons by experiencing varied research environments, leads many scientists to relocate (if only on a short term basis) to a country which is not their own. 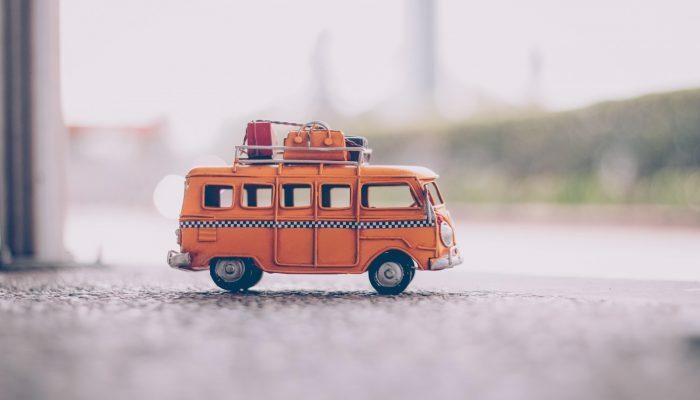 In today’s post, freelance science writer Robert Emberson explores the pros and cons of the nomadic lifestyle many researchers find themselves embracing in order to forward their work. Scientists can consider themselves a lucky group of people. Having colleagues across the world working passionately at advancing the spectrum of human knowledge offers more opportunities to collaborate across national borders than perhaps any other field of human endeavour. Working with researchers of different nationalities is a chance to share ideas and experience; more often than not, the whole is greater than the sum of its parts. In many cases though, this collaboration requires scientists to move their whole lives, temporarily or permanently, to new countries. Research on a given topic is almost never focused in one geographic region, and so a significant minority of scientists leave their homeland to pursue their careers. In September this year, the Twitter account @realscientists started a discussion about the implications of this movement, under the hashtag #migratingscientists. Many researchers shared inspirational and personal tales about their peripatetic lifestyles, and these brief snippets serve as a useful insight into the disruptive nature of crossing borders for work. What are the deeper lessons we can take from scientists who migrate for work? What impact does it have on their scientific, and personal lives? A recent analysis of published studies has suggested that migrating might well improve the career prospects of scientists. 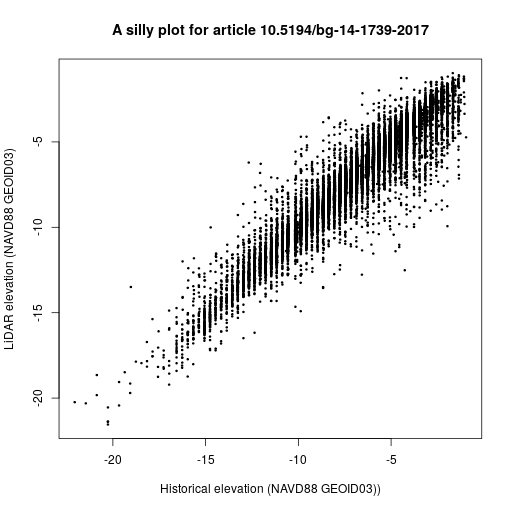 Sugimoto and colleagues analysed the citation scores of 14 million papers (between 2008 and 2015) from 16 million authors, and found that, in general, those written by scientists who moved country during that time have citation scores 40% higher than those by authors who remained put. Surprisingly, despite a perception that international collaboration is widespread, only 4% of the scientists in the dataset moved during the window of observation. The perception of extensive movement for researchers may be coloured by science in the English-speaking world. Foreign-born researchers make up 27% of scientists or engineers in the USA, and 13% in the UK. These countries seem to benefit significantly in terms of the impact of the research produced within their borders; countries with greater mobility tend to produce more highly cited papers. It’s a mutually beneficial relationship, at least in terms of citations, and moreover researchers returning home can bring with them a wider network of colleagues, potentially boosting research and development in their own countries. I spoke to the lead author, Professor Sugimoto, about these trends, and she told me that much of it comes down to what is available in these countries. The US and UK are two countries where open borders are increasingly under attack. Immigration is always a hot-button topic, and while in both countries an opposition to immigration is not necessarily new, increased restrictions on immigration are now more likely with a Republican-led government in the US and Brexit in the UK. Already there are suggestions that researchers are increasingly looking elsewhere for positions; based on the studies, this could lead to a decline in the impact of research from these countries. As shown by Prof Sugimoto and colleagues, scientists don’t exactly fit into the standard definition of immigrant. The researchers point toward mobility, rather than migration, as the important descriptive term here. Scientists tend to return to their home country after spending time abroad, and as such represent temporary migrants, rather than permanent. Social attitudes towards skilled workers tend to be different to those surrounding long-term immigrants and it would benefit researchers if policymakers went out of their way to emphasise that scientists fit into this category. According to Professor Sugimoto, the short-term nature of mobility is what is most beneficial. Treating scientists as visiting experts, then, is perhaps a more productive way forward. But immigration visas and increases in citation indices are just one side of the story for scientists. Reading through some of the tweets tagged with #migratingscientists, many focus on the upheaval of their personal lives, for better or worse. It’s sometimes too easy to think about researchers as ‘human capital,’ but each of those humans have personal connections and a definition of home. 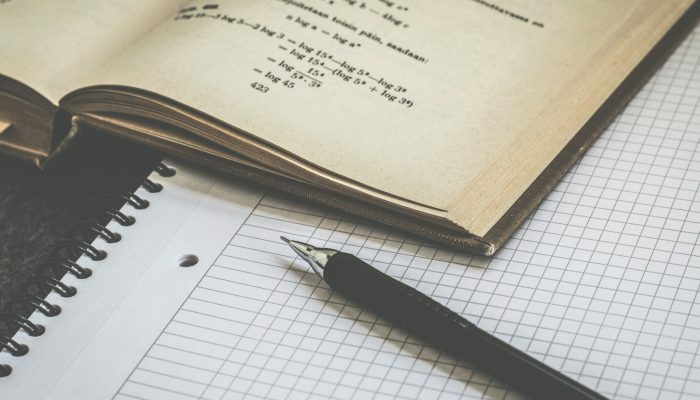 Some studies suggest that foreign-born researchers may be more productive than their home-grown counterparts, but their satisfaction with life tends to be lower. What’s the deal? Maslow’s hierarchy of needs, a framework commonly used in sociology to understand the different human requirements and personal development, suggests that the human need for Belonging is more fundamental than the requirement for Self-fulfilment. In other words, before researchers can genuinely accomplish their best work, they have a more basic need for a network of friends and family to belong to, or a place to call home. Finding this sense of belonging can be tricky in a foreign country. Language barriers can make it a struggle to meet new friends, and cultural tropes and mores may be more difficult to transcend than it first seems too, particularly when attitudes towards the researcher’s race or gender differ. Early career researchers on short-term contracts may also struggle to maintain a sense of belonging to a particular place; extensive travel and fieldwork can exacerbate this. As a PhD student, living in a foreign country and travelling for labwork, field campaigns and conferences I sometimes felt like George Clooney’s character in the film Up in the Air, where he struggles with a life lived out of a backpack and in airport lounges. Migrating scientists must make choices about close personal relationships; should they leave a partner behind or try to make it work long-distance? It’s doubly difficult to find positions for two people, let alone moving a more extended family. Many of the stories on twitter stress the importance of supportive partner or family. Pay may also be lower for foreign-born scientists, too. Despite their outsize contribution to research output, foreign scientists in the US may be paid less than their peers, both in terms of salary, and the availability of funding sources. These hurdles make an already tricky transition to a new country significantly harder. So it seems the research impact on a national and individual scale may benefit from increased mobility of researchers, but at the same time the personal tribulations may make this a challenge for many scientists. How do scientists weigh up these pros and cons? Well, if Twitter is anything to go on, they’re clearly an enthusiastic bunch of folks, since many of the stories tend to emphasise the fun had along the way, as well as the positive experiences. Given that these nitty-gritty questions about personal experience are unsurprisingly hard to quantify, our understanding of the impact of mobility on scientists personal lives is often based on these kind of anecdotes; it would be greatly beneficial to survey researchers more widely to ascertain what kind of systematic effects migration induces. 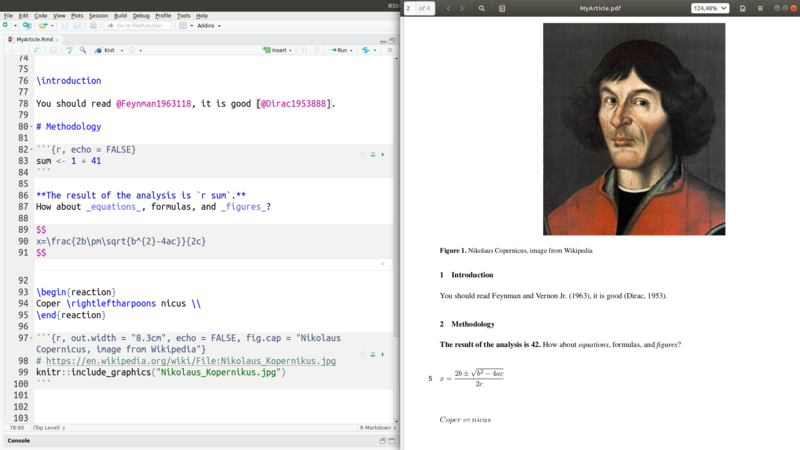 A more qualified comparison with the citation-based indices would then be feasible. For now, even if removing the obstacles to scientists moving across borders may raise questions amongst some policymakers, it would reduce the negative connotations of migrating for research – which might allow for wider collaboration, and a more effective global body of scientists.